Obituaries are handy story-starters. Some are better than others, but the good ones give you enough clues to bare bones a character. Once you have the bones, the fleshing out is easy. Can we get enough? Apparently not. Our appetite for all things celebrity is insatiable. What a fabulous quote! Remove yourself from the image of Elizabeth Taylor and use this quote to invent a new character. Or… think of a friend’s style. (Protect your friendship. Make that an anonymous friend.) What character traits does that person’s style reveal? Where do those clues take you in terms of character development? I’m always amazed by man’s need to make his mark. 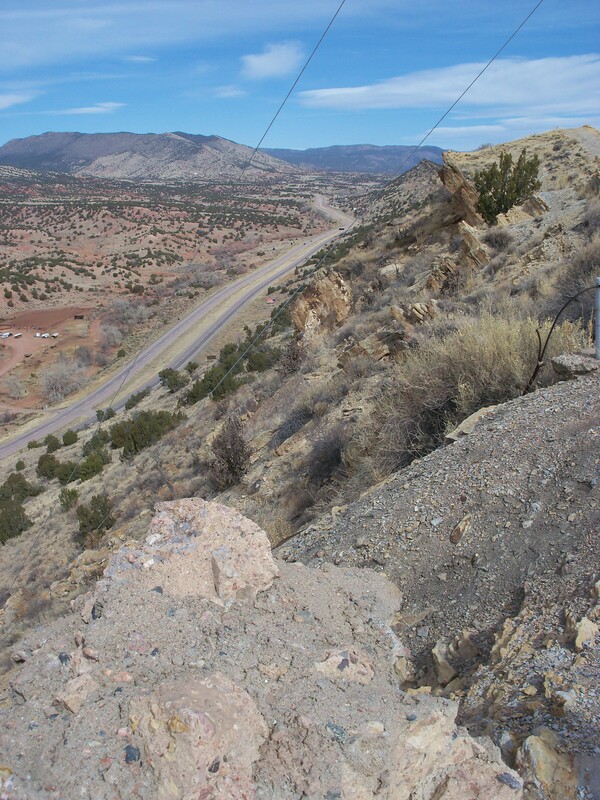 Last week I took a Swedish friend up the hogbacks (more formally known as Skyline Drive) in Canon City. We were out and about “taking the air,” but we were not the first. In the Late Cretaceous period, before the hogback had risen some 800 feet above the surrounding terrain during the mountain building period, dinosaurs had left their footprints as they strolled the Western Interior Seaway. Today, standing on top of what was once a seabed, we looked for “prints.” We missed the dinosaur prints, but not the marks left by other hikers. 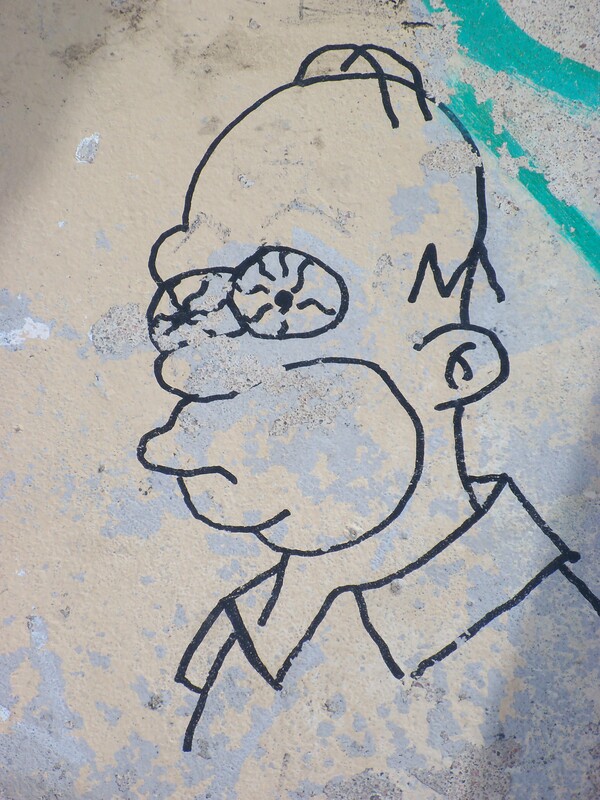 Not that Homer can hold his own against the footprints of the World’s largest Stegosaurus (formerly found here – now enshrined at the Natural History Museum in Washington D.C.), but a local graffiti artist was compelled to make his mark. 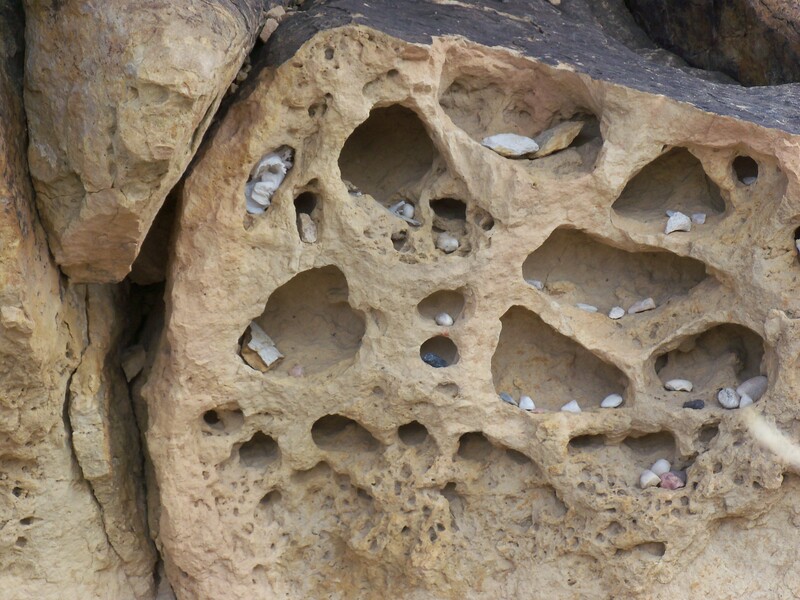 As were the hikers who placed their pebbles in the sandstone pockets. If there were a way to leave a mark that would endure millions of years, I am sure we would. Please say Hi to Lynn and Mark Prebble, and especially tell them thanks for telling me about this blog site. I’m getting to experience Peru and not having to leave our house.